Lazard Coblentz was born in 1852 in Lixheim, in the Lorraine region of France on the German border. The Coblentz family originally hailed from Koblentz, Germany, located on the Rhine and Moselle Rivers. In 1871, Lazard Coblentzand his brothers, David and Joseph, journeyed to America to avoid being drafted into the Prussian army. They entered the country in New York and headed for California. 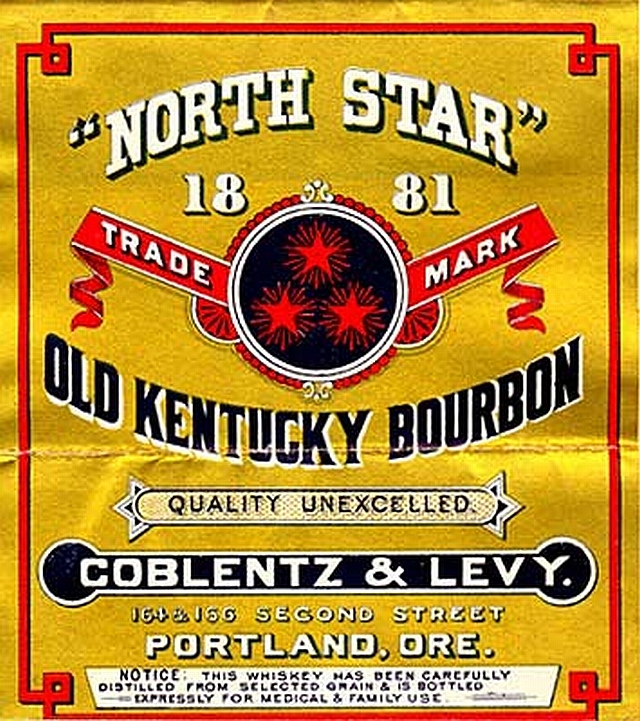 By 1874, David and Joseph Coblentz had settled in Los Angeles, where they entered the wholesale liquor business. In 1876, Lazard Coblentz was naturalized as an American citizen in San Francisco. He lived in the California mining town of Pokerville in Plymouth County. In Pokerville, Lazard Coblentz ran the mercantile firm, Coblentz Co. 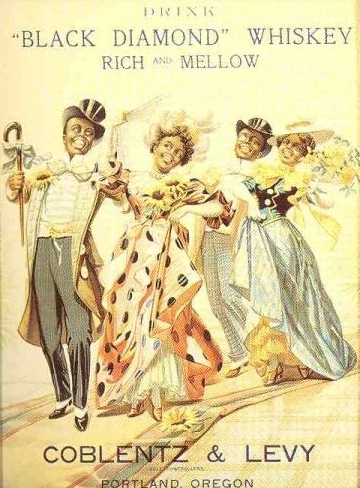 In the 1870’s and 1880’s, he ran a mercantile business with three partners: his brother-in-law Isaac (Ike) Levy, Isaac Kohn, and Alexander Rosenwald. Their firm also served liquor to the townspeople, especially the miners. Around 1886, Coblentz and his partners opened a second store in Lundy, California called the Mill Creek Pioneer Cash Store. At the end of the 1880s, the mining economy in Pokerville and Lundy declined. Also in 1887, a fire devastated Plymouth County. 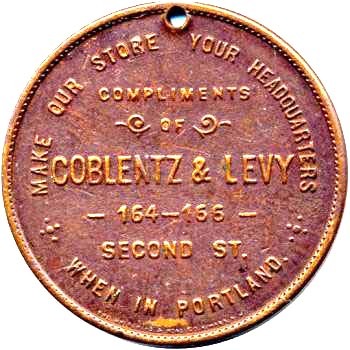 In 1888, Lazard Coblentz and Ike Levy decided to move their business to Portland Oregon, where the economy was experiencing a boom. In 1894, the brothers-in-law incorporated their firm, Coblentz & Levy, where they sold wholesale liquor at 166 Second Street. The partners created their own brands of bourbon and whiskey, which they sold in glass bottles. They also gave away items such as tokens featuring the Lewis and Clark Expedition and shot glasses advertising their specific blends to customers. In 1900, Coblentz and his family lived at 137 Morrison Street. They lived in the same house as his wife Sarah’s brothers, Ike, Aaron and Roger, and Ike’s wife, Nettie. In 1910, Ike Levy left the firm to become a bookkeeper for a club. The dissolution of the partnership was amicable, as Ike Levy and his family continued to live in the same house as the Coblentz family. Lazard Coblentz rebranded his firm as The Coblentz Co. in 1912, with headquarters located at 105 Fifth Avenue. His son, Julien Coblentz, held the position of secretary/treasurer in this family business. For the next three years, The Coblentz Co. fought prohibitionists to no avail. 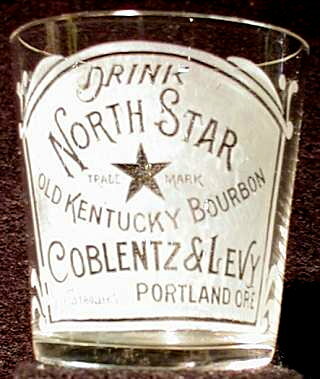 In 1915, The Coblentz Co. closed due to Oregon’s official passage of prohibition laws banning alcohol sales in the state. Around 1879, Lazard Coblentz was appointed as a Judge. He tried cases in the rear of the Post Office in Pokerville, California. He was also a trustee of the Volunteer Fire Department of the town. Lazard Coblentz married Sarah Levy in 1883. They had two children: Julien and Helene. 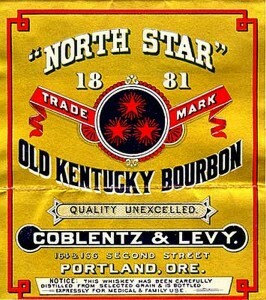 Lazard Coblentz died in Portland, Oregon, in 1922. Sarah Levy Coblentz died in 1929, in Seattle, Washington. Jack Sullivan and Victoria Fisch, “Lazard Cobentz: Whiskeyman of Pokerville, California and Portland, Oregon,” Western States Jewish History 45/4. Samantha Silver is curator for this Lazard Coblentz exhibit.